Performance School of the Arts is pleased to offer both private and group art classes. We feature art classes for kids as well as art classes for adults. We also host college preparatory programs, helping high school students build impressive art portfolios of their own. Mediums include but are not limited to drawing, painting, sculpture, printmaking and more. Our classes are designed to inspire creativity while channeling students’ individuality in their art. Our teachers are all highly skilled and university trained professionals. We strive to connect with creative local artists who have fun personalities. Several of our teachers have had their art work displayed in galleries across NY State as well as throughout the North East and Canada. All of our classes are held in bright, clean, and comfortable settings. They are structured to explore a wide variety of expressions while focusing in on a favorite medium. Throughout the year, we stage art exhibitions in which students are invited to display their work at our on-site art gallery. We also put on art workshops for the purpose of connecting students with established artists while exploring new horizons in the wonderful world of art. 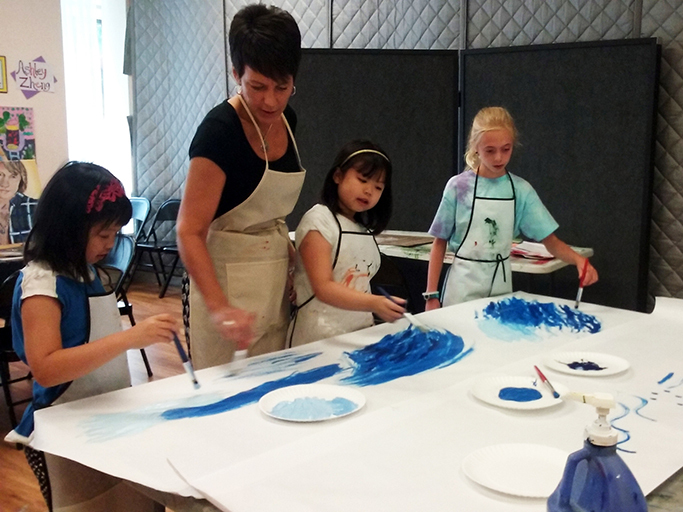 Please click here to view our art class schedules and fees page.